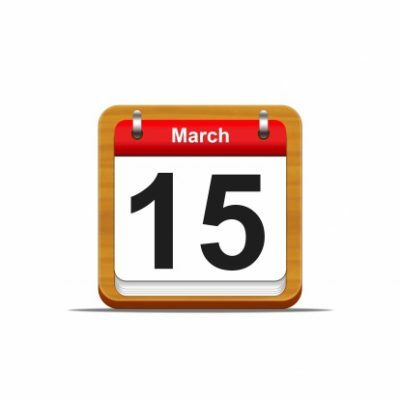 Partnerships, also known as pass-through entities, are reminded that their federal income tax deadline has moved up to March 15 effective this year (i.e., the 15th day of the 3rd month following fiscal year-end, for returns filed in 2017 for tax year 2016). This new deadline for partnerships, under the revised federal income tax deadline regime described below, is one month earlier than the long-standing previous deadline for partnerships which had been the 15th day of the fourth month (generally April 15) following fiscal year-end. 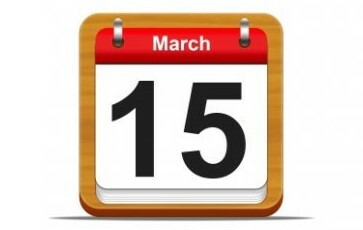 Under the new deadlines, partnership returns are now due the 15th day of the third month following fiscal year end (generally, March 15). As explained in Why new tax return due dates are important published in The Journal of Accountancy on Oct. 19, 2015 and, more recently, in Changes to tax return deadlines in 2017 published by CBS, after years of requests for this change, the AICPA-backed and MACPA and other state society of CPA’s-backed advocacy initiative to move the tax deadline for partnerships up by a month was a success. The acceleration of the federal tax return deadline for partnership returns – together with moving out the deadline for C-corporation returns by one month (from March 15 to April 15) was done to facilitate receipt of partnership K-1s, necessary for individuals and C-corp shareholders in partnerships, to receive their K-1 information one month earlier, to include in their returns. Under changes to the federal tax law written into the Fixing America’s Surface Transportation or FAST Act, the deadline change for partnerships discussed above was made, as well as a change in the deadline for C-corporations, by moving out the C-corp deadline from the 15th day of the third month (generally, March 15) to the 15th day of the fourth month (generally, April 15) following fiscal year-end. The two changes were done to facilitate the receipt of partnership K-1 reports by individuals and C-corps in time to file their income tax returns on a timely basis, since individuals and C-corps were depending on receiving their K-1 information returns after partnerships filed their returns. The MACPA successfully advocated last year for the Maryland General Assembly to move out the C-corp filing deadline from March 15 to April 15, aligning the new federal income tax filing deadline for corporations with the state deadline for Form 500 state income tax return. See: Filing deadlines and extensions for corporate income tax, State of Maryland. Additional information can be found in: Reminder: Mar. 15 is deadline for partnership, S corp returns and other tax matters, published by Thomson Reuters Tax & Accounting. Looking to stay up-to-date on tax matters and earn some CPE? Visit the MACPA’s website, macpa.org, check out the Learning tab, and the full CPE catalogue, including webcasts, on-demand and in-person events. It’s not too soon to save the date for the MACPA’s popular Beach Retreat in Ocean City, MD which will include a Federal Income Tax Update-Part I by Art Werner, J.D., MST, on June 28. You can also catch Art’s update on June 6, in-person or via simulcast, on: Tax, Financial and Estate Planning Strategies under the new Administration.